Often times your website is a potential customer’s first impression of your company. That being said, if you’re a business in the 21st century, you absolutely need a website. Since you need a website, you might as well have a handcrafted, award-winning website. That’s why our team at JB Systems puts so much time and effort into researching your company and industry design trends. We don’t just build websites 一 we create a beautiful, handcrafted solution that expresses your brand. 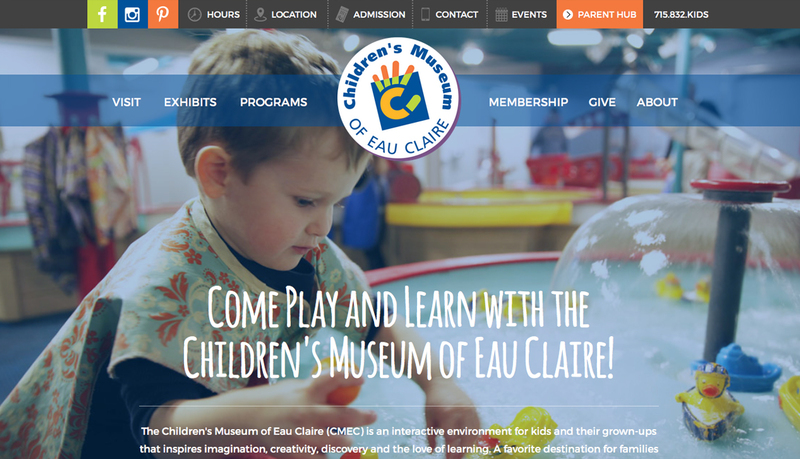 The Children’s Museum of Eau Claire was really fun for Meghan and Jenna to design. This was one of the sites we we won a 2016 GDUSA award for. 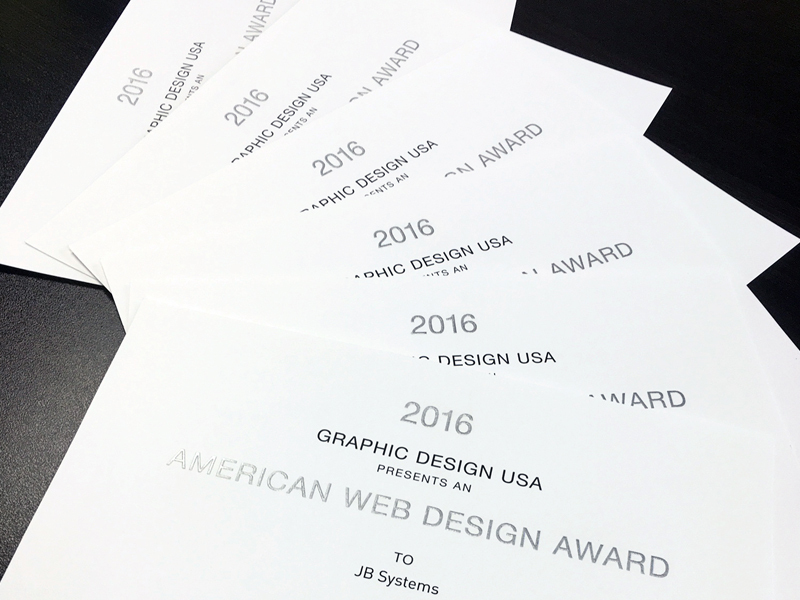 These awards also fuel our design team’s determination and competitiveness to consistently create remarkable websites. “Every new design we create sets the bar for the next. We take it as a personal challenge to make each new design better than the last,” says Meghan. While the six websites are equally stunning and sleek, it’s difficult not to feel partial to one over another. When asked which award-winning website was their favorite to work on, Meghan and Jenna were eager to share. 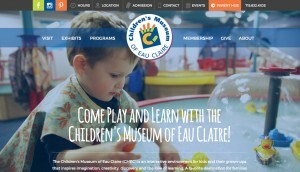 “The project that really stood out to me was the Children’s Museum of Eau Claire,” says Meghan. “It’s not often we get to work on a colorful/playful website like this one. We really tried to push the limits on this design.” The trick, Meghan says, was to create a design that engaged parents and made them want to experience the museum. In order to do this, the design team approached the project from an Exploration perspective. “Visitors get to ‘explore’ the website like their children will get to explore the museum itself. Throughout the website you get a very good idea of what kind of museum they are and how much fun you can have!” says Meghan. Peregrine Communications was great because we got to help a new company brand itself with a logo and website! 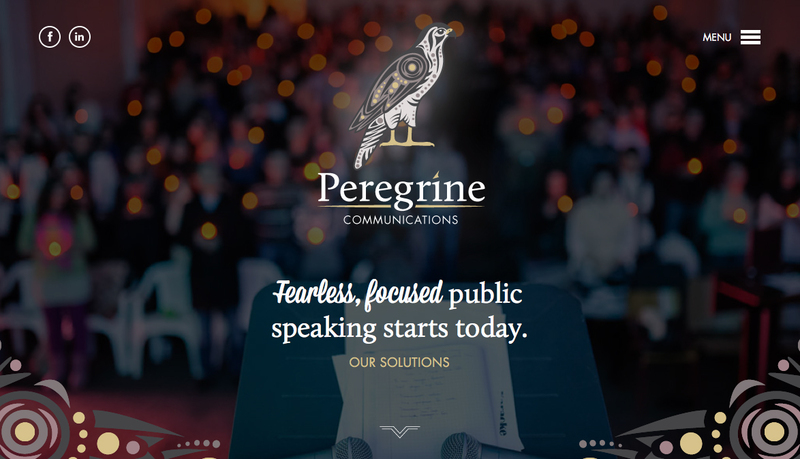 Peregrine was also a website we won a 2016 GDUSA for! At #TeamJB, we truly are a team, meaning we wouldn’t be able to develop handcrafted, award-winning websites without each employee’s contribution. We can’t wait to see what our design team comes up with next, and we’re already thinking toward next year’s GDUSA award submissions. If you’re ready for an award-winning, handcrafted website, don’t delay. Contact JB Systems today!